Do you have a tiny bathroom? The selection of the right materials and big dose of creativity can make the difference in upgrading the space. We have transformed hundreds of bathrooms to open them up and make them bolder. Tiling to the ceiling, for example, means that paint and paper won’t be peeling off walls. 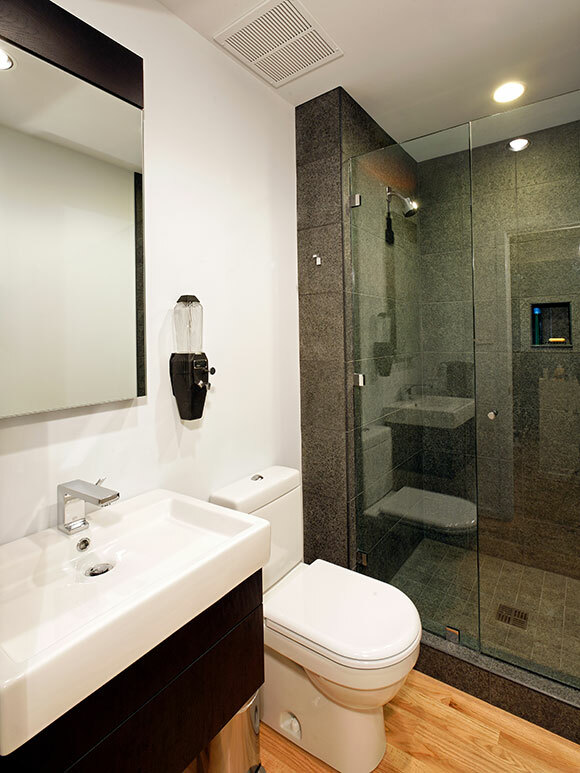 Removing the frame from the glass enclosure encourages your eye to flow to the back of the shower, and the use of clean, contemporary lines eliminates clutter in the room.